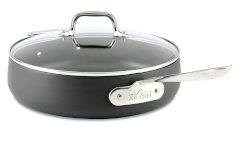 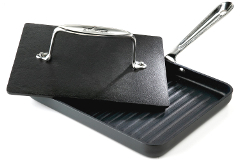 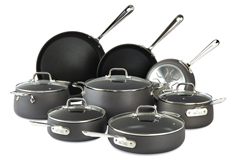 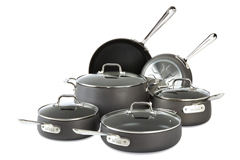 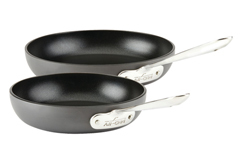 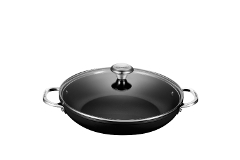 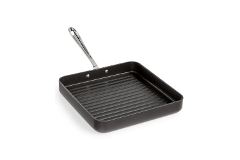 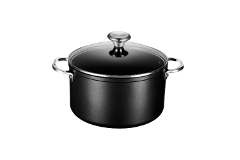 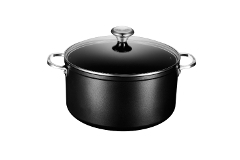 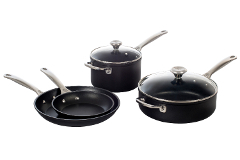 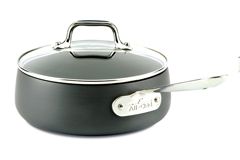 We love the distinctive dark gray exterior appearance of hard anodized cookware. 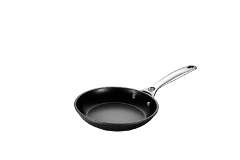 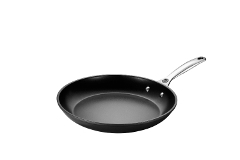 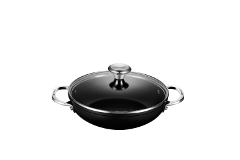 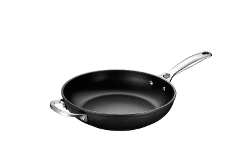 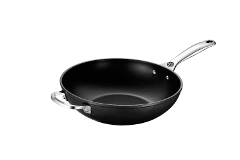 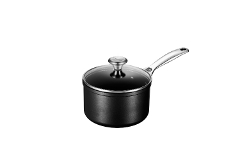 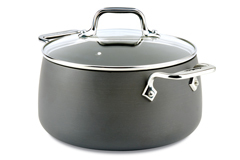 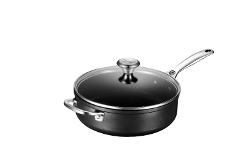 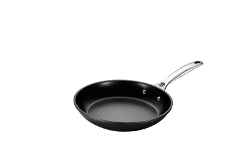 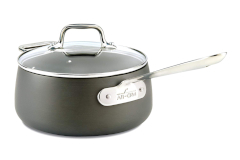 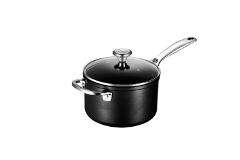 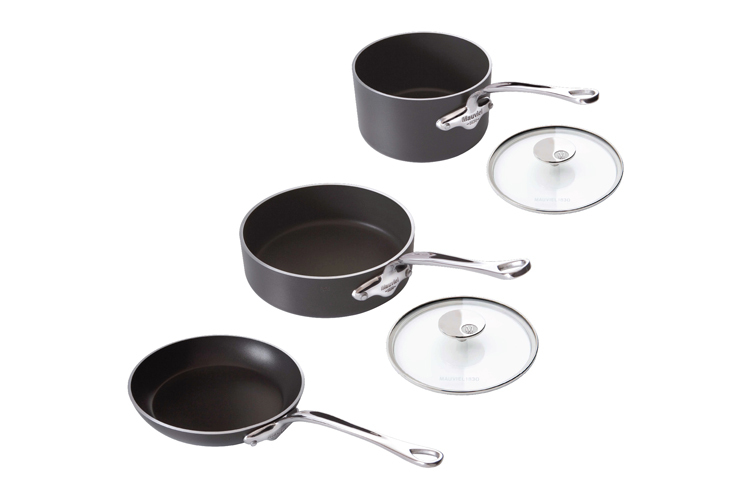 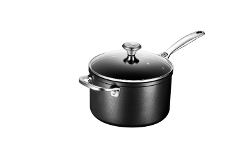 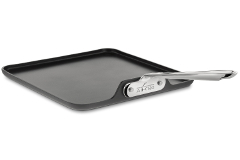 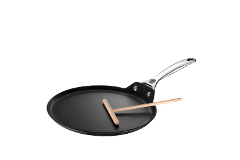 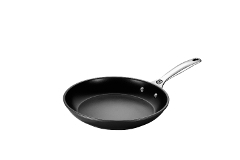 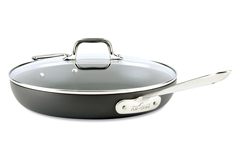 Anodized cookware has a top quality 18/10 stainless steel cooking surface. 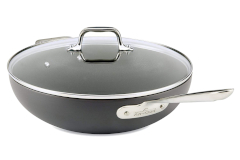 The exterior is made from aluminum that is electro-magnetized to increase durability and create the distinctive color.